It all started when I wanted my PCs to fight Santa. I started creating an adventure to do just that and I shared the Dungeons and Dragons fifth edition monster statistics for Mr. Claus and his crew and the artifact that drove St. Nick insane on this very blog. I plan on posting the entire adventure on Thursday. 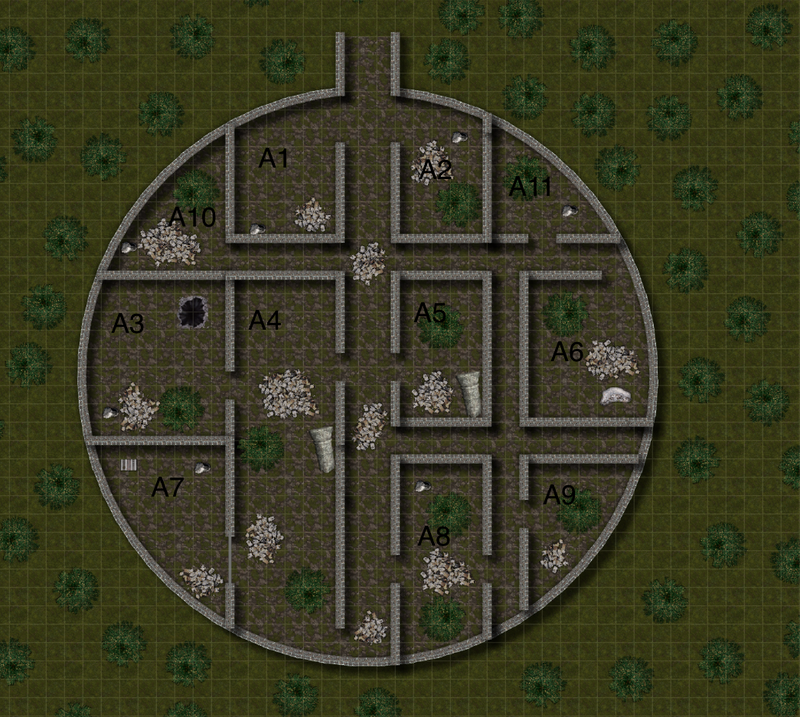 Before we get to the short quest I want to show off the map I made for it using Pyromancers’ Dungeon Painter. It’s a free, easy-to-use online mapmaking tool. Take a look at the gridded and gridless options of the map below. 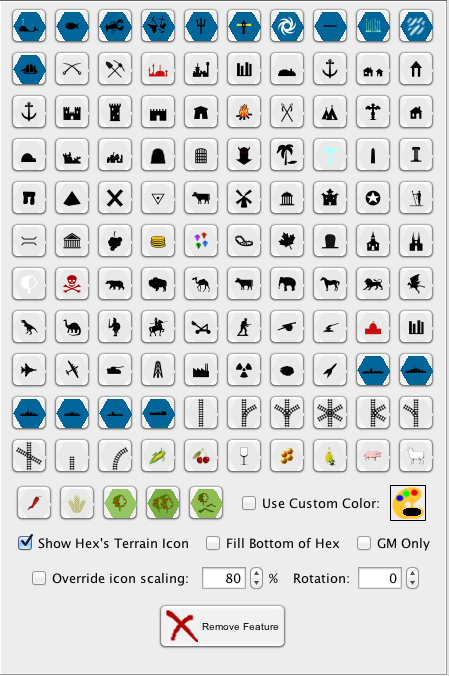 You should easily be able to bring the 51×51 map into any virtual table. Take a look and let me know what your initial impressions are in the comments below! 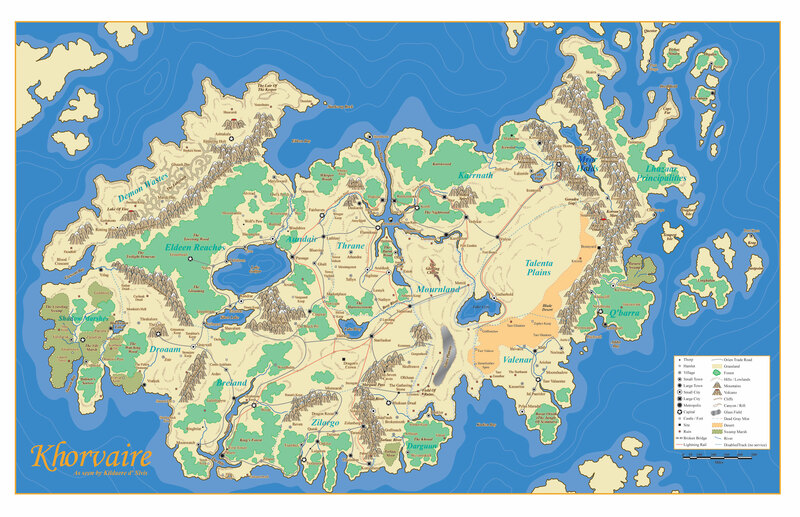 If you like these maps and want to grab some more for your games, check out the Free Game Resources section of the site. You can grab several maps there with gridded and gridless options (and their corresponding adventures) along with free PDFs of fifth edition magic items, monsters, backgrounds, D&D fifth edition rules modules, spells, and more created by yours truly. I originally wrote this article for Johnn Four’s free roleplaying tips newsletter you can and should sign-up for over at roleplayingtips.com. There is no task for a game master more daunting and gratifying than worldbuiding. Creating a universe in which a group of PCs can romp around in is very gratifying, but the seemingly Herculean effort it takes to get there can be miserable especially if you have many life commitments outside of gaming. 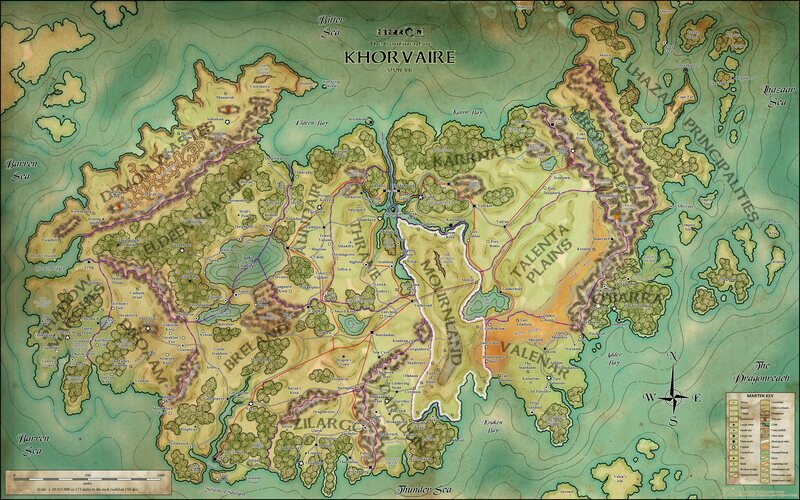 For the last decade I’ve been running Dungeons and Dragons and other RPGs in published campaign settings, but it was always a dream of mine to create a new world. I mean a full, rich world with a huge history. We’re talking original rules modules, big honking maps, new monsters, intrigue, dungeons, rivalries, and more open-ended story than the closing chapter of a Goosebumps novel. The kind of thing I had the time to do as a kid but could now tackle with the wisdom of an adult. Last year I finally embarked on creating that new world. With the impending release of fifth edition Dungeons and Dragons I set pen to page and began creating a world from the top down. With so much going on in my own world and the promise of an Open Gaming License from Wizards of the Coast I’m still working on my 300+ page campaign guide that I’m preparing for my first self-publishing venture. I’ve been chronicling my efforts on this blog since January of last year. During that journey I’ve picked up a few tips and tricks that can help you build a RPG world of your own, no matter how fleshed out you want your own campaign world to be. Your world might be built top down or bottom up or half off the top of your head and one session at a time. If your world is an original (or modified from an existing) creation these tips will help you out. Here they are in no particular order. You are going to have ideas for your campaign. Lots and lots and lots of ideas. They might come at work, during your commute, during dinner, or another time a pen and paper aren’t handy. If you don’t write ideas down, they’re going to fade away. Your phone is your friend. Most mobile phones, even those of the non-smart variety, have a notepad feature. So when you get a great idea jot that sucker down and you’ll have it as long as you have the phone. If you want to backup your ideas copy and pasting them into an email or text message is super easy. When you sit down to flesh out your world you’ll know exactly where to find your awesome ideas. What makes your world special? Does it feel like a Lovecraft story? Is it recovering from a recent war? Is it in the middle of one? Does one oppressive (or benevolent) ruler have absolute power? Do the gods come down in person and give decrees to their worshippers? Is it a whacky place where every natural landform is made of candy? 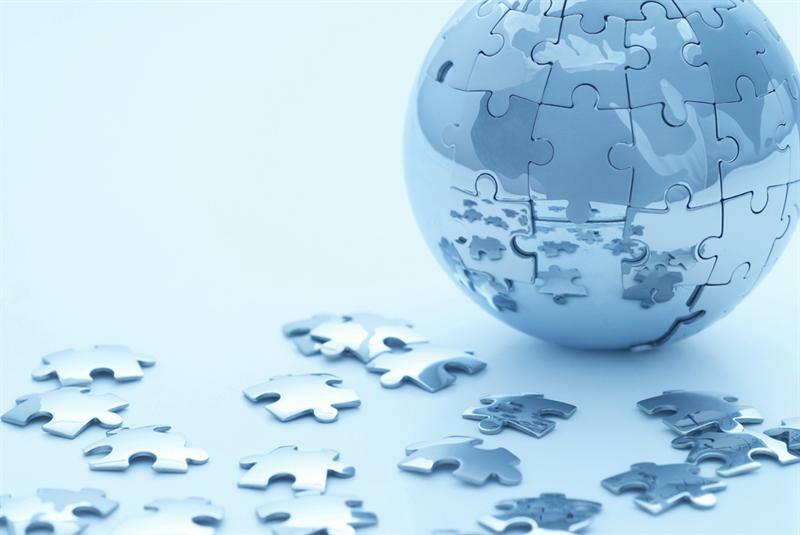 Your world should have a central idea which sets it apart from the rest. In Exploration Age, the central idea is that there are unmapped areas of the planet that the civilized world is racing to uncover and colonize. I hold onto that idea and wonder how it affects everything else happening in the campaign world. How do the “uncivilized” peoples react to the colonization of their home by others? How do competing countries negotiate different land grabs? How will the new resources discovered in the new world affect the old? What struggles do the colonists have? Let your central idea permeate through all aspects of the world. Whenever you’re creating a new place or person within your world as yourself how it relates to your central idea. I’m not an artist, but good lord it helps so much to have a map. Being able to visualize the world is not just a help to players, but to you as well. Everything becomes so much clearer and the world feels more real once you have a map. This is because most people are visual learners and need to see something to understand it. You can start small, just what you need for your first session, or build out your whole world at once. Knowing how close a city is to an ocean or orc infested mountains can help you discover what is unique about that settlement. If you’re like me and can’t draw freehand I recommend checking out some software. For free there’s Hexographer (which I use and is worth buying a few extras) and Stone Sword, or you could be fancy and buy Fractal Mapper, Campaign Cartographer, or Mapdiva. Even if it’s very rough make a small timeline of your world’s history. Think about how major events would shape your world and adventure sites. How do these events tie into the central idea of your campaign? In my world aberrations used to rule the land before they were wiped out by dragons. Their magic technology can be salvaged within the ruins of their former empire, many of which are hidden deep in the uncharted wilds. These ruins are blank spots within blank spots! The events of my timeline inform the current world and relate back to the central idea. The rise and fall of nations and rulers, the birth of races, the discovery of new lands, the creation of important technologies, wars, treaties, and the like are the sort of events to consider adding to your timeline. When it comes to stealing ideas for your world, don’t be afraid. Let literature, video games, film, television, art, and other campaign settings inspire you. When you do steal an idea go one step further and twist it. Add something to the idea or turn it on its head and see what happens. That idea is putty. Play with it until you’ve made something you think is interesting and original. Let’s take the giant spider infested Mirkwood of The Hobbit. Maybe you want to add a similar forest to your realm, but instead of spiders, it’s crawling with giant snakes, or undead animals, or enormous bees. Maybe falling into its rivers and streams doesn’t induce a magical slumber, but rather the waters keep people awake, slowly driving victims insane with deadly exhaustion. Perhaps instead of a forest it’s a desert, swamp, jungle, or arctic wasteland. Stealing is just step one. Challenge yourself and twist the stolen goods. It’s far more rewarding for everyone. Before you embark the incredible worldbuilding task before you, start by asking your players what sort of game they want to play. I sent my players a brief email asking them about their preferred genre, tone, magic level, intrigue level, and play style for in D&D. Even though I’ve been playing with my groups for years some of the feedback was surprising. Have a chat with each of them, give them a quick questionnaire, or lead a more organized group discussion. It matters what your players want since they’re going to be playing in the world with you. Your gothic horror game could cost you some friends at the table if they’re not really into undead and lycanthropes. Don’t keep all your information too close to the vest, especially if you’re building a world from the top down. Share it with your players and other gamers you trust. Since a lot of worldbuilding isn’t game rule specific sharing the information with people outside of your gaming circle who appreciate fiction. My girlfriend has never played D&D, but she reads a lot of what I create. Having her outside-the-industry perspective is invaluable. All she cares about is story which should be the focus of a RPG world. The more input you can get, the better. Just remember that all feedback does not need to be taken to heart. Listen to those who are kind enough to offer feedback, but only implement the ideas they provide which sound good to you. I often link this blog in gaming forums and various social media sites and solicit feedback from strangers. I’ve gotten some of the best insights into my work this way. Having people provide feedback can also keep your worldbuilding on schedule. It’s my mission to share updates twice a week on my blog which keeps me writing and worldbuilding. You could keep a similar schedule with whomever you are sharing your world. Maybe it’s the first of each month, or every Wednesday, or every day. Giving yourself a deadline and having others hold you accountable will keep you writing. Put anything in the world you ever wanted to create. Stuff that thing full of all you ever wanted in a campaign world. You’re not going to run out of ideas. Take it from a man who has been a GM for 20 years. More ideas will come so don’t save anything. You might never use it if you keep hanging onto it. If you write what you want to write the work is worth. That’s sort of the point, right? These are games and are supposed to be fun. Let your imagination run wild and get a little crazy. Happy worldbuilding! Well, fifth edition has been released! The D&D Starter Set hit local friendly game stores last week and the D&D Basic rules are up… for FREE! Go download and check out over 100 pages of new D&D content for $0. In the coming weeks, I’ll be posting many a podcast about my thoughts on the new edition, but spoiler alert… I feel very positive about it. Maybe you’re not feeling these new rules or maybe you agree with me that this could be our finest D&D yet. Let me know if you think I’m right/wrong and sound off in the comments or hit me up on Twitter. I love to hear others thoughts and opinions. Remember, in the coming days of discussion and possible disagreement – just because someone disagrees with you doesn’t mean he or she is a Nazi. Be polite and respectful and people will respect your own view-point more. In the end this is just a game. Anyway, with this release I know the DMs out there are beginning to craft worlds of their own. I thought I’d talk with you all a bit about how I built some adventure sites into Exploration Age and then give you some examples (which you can feel free to pillage for your home campaign). Before you begin adding adventure sites to your world, make a quick list of all the ideas for cool dungeons, forests, castles, and more that you have. You don’t need more than a line for each site and the description only needs to make sense to you. For instance, maybe you’ve got an idea for red dragon’s volcanic lair which also serves as a portal to the Elemental Plane of Fire. You could simply write – red dragon, volcano, portal and know what that meant. The important thing is to get any ideas you have down on (virtual) paper so you don’t forget them. As you know I love Google Drive, so I recommend starting a document there, so you can add ideas as you get them. You never know when you’ll feel inspired! If you don’t have any ideas, have a good old-fashioned brainstorm session, or have no fear and continue on. Tips for idea generation are below! I’ve already written about how I made the maps for Exploration Age. Once you’ve got all of your continents and oceans created, it’s time to start dropping in adventure sites. I had my idea list, but it wasn’t enough to fill the giant world I had created. I began adding ruins, castles, and more to the map. I didn’t do this totally randomly, I looked for places that might make sense. A dangerous ruin might be in a swamp, away from a lot of other areas of civilization, and a fortress might sit with its back to the mountains or on a border between two countries in a defensible or valuable position. Once I had placed these sites I went around naming them. I tried to look at the names of some of D&D most classic adventure sites. The Tomb of Horrors, The Temple of Elemental Evil, and Castle Ravenloft all have names which evoke a particular feeling of grand adventure while also giving you little hints about what to expect from the site. So for the sites that weren’t part of my original list, I came up with their names first and concepts second. Sometimes their names were based on the location in which they were found. For instance, within a patch of dead forest in Taliana I placed the Deadwood Castle. Other times these names were something evocative that popped into my head that I knew I would sort out later – like Gnome Graves in Parian’s Niro Swamp. Once I had all my adventure sites and my map finished, I wrote down every single site I had placed on the map. In my case, since the map is so large, I divided my list into sublists by country. However, your map may be smaller than my own, so you may just make one list or perhaps your map is way bigger than mine and you want to find some other method of dividing your list (maybe by terrain or region – really whatever is easiest for you). Any notes or ideas I had about what the sites might be, I included on the list. Once I had that master list of adventure sites, I set it aside. It’s always good to shift gears and let the mind rest for a bit. Many of your best ideas come when you brain is just wandering so let it (but keep that list handy so when an idea comes up you can add that detail or note to the list so you don’t forget). A lot of folks get their best ideas in the shower. So get cleaning yourself! Finally, I began detailing each site. Obviously, with so many adventure sites on the world map, I wasn’t going to create a unique dungeon map and stat out every single resident monster for each. Besides, I want to keep things a little more open so I can tie an adventure site into the larger campaign’s story arc as it unfolds. However, should my players decide to travel through a site, spend the night in one, or just go delving into some dungeon on a side mission, I wanted to be prepared. I decided I would write at least a quick paragraph for each adventure site to have the basics covered. This will also help me if I’m running a more sandbox style adventure where the players feel free to roam all over the map. In my mind, good adventure sites need three details. History How did a ruin become ruined? What was it before? Who built the structure? What are the stories locals tell about the place? If it’s a natural land formation why is it special and different from other places created by nature? What is unknown about its history? Who is alive today and still tied to the history of the place? Do they want people delving into the site or not? Giving a site history roots it solidly in the game world. It gives adventurers a chance to hear about a place through word of mouth instead of just stumbling onto it and it can inspire the dangers and draws of the place. Danger It wouldn’t be much of an adventure site if it weren’t dangerous. If you’re playing D&D 99% of the time that danger is one or more monsters, so think about the kind of baddies that populate a place. Is this one creature’s lair or home to a host of baddies? Of course, danger need not always come in the form of killer claws and jaws. Maybe the danger is some ancient curse, magical phenomena, natural hazard, supernatural disease, or mechanical trap. Your players may be more curious and probably more terrified if they wander into an adventure site and find no one at all… because an ancient curse drives any intruders so mad that they throw themselves into the tar pit in the basement. Draw What makes delving into the adventure site worth while? Are there riches to be uncovered? A dragon’s treasure hoard? A vein of mithral? Is there someone to be rescued or liberated in the site? Is the defeat of the evil inside the draw, because that evil is threatening a local village or something greater? Is there information that can only be learned within the site? Is traversing the adventure site the only way to get from one area to the next? Whatever the draw, every adventure site needs one, otherwise why bother risking life and limb to explore the place? Here are some examples of adventure sites from the Exploration Age Campaign Guide. Sunken Hold of Hymore (Aeranore) Even the trolls of the Cold Marsh won’t go near the Sunken Hold of Hymore. The old estate which once belonged to a noble family known for their gold jewelry collection is now buried three-fourths of the way into the marsh. It is said that Hymore, a well-known angry drunk, struck the life out of his wife one night. His young daughter, who had shown great psionic ability, buried the house into the ground, suffocating her family and the servants. Some travelers and treasure-seekers who explored parts of the hold say they’ve found undead with strange psionic abilities and heard the voice of an eerie little girl singing a lullaby throughout the house. The Wastes (Bragonay) Bragonay is mostly desert, rocky in the North, sandy in the South. The Wastes are vast expanses of dangerous sandstorms, killer predators, warforged bandits, and countless other dangers. However, merchants constantly cross these wastes when they cannot transport their goods on the Jackrabbit due to cost, limited space, or their destination not being one of the stops on the line. Adventurers may be hired to protect a merchant caravan crossing The Wastes as guards or simply be getting from point A to point B themselves. They better bring plenty of food and water… and a good weapon. There are other reasons to go delving into The Wastes. There are magical twin cacti right outside Mt. Thraxallis. The needles of these cacti can be collected and be used as magic arrows. Stripping both cacti yields 10d10 +2 arrows, however adventurers who do so risk angering the volcano’s resident, an ancient red dragon named Thraxallis who believes the cacti are his alone. It is said that a camp of djinn nomads wander the desert waiting for travelers to happen upon them. If a traveler can best their champion in combat, he or she is granted a wish per the spell. Sand krakens attack from below, but have beaks of solid diamond that can be harvested once they are killed. Troll Lake (Verda) The scrags and trolls who live on the banks of Troll Lake are not to be trifled with. There is an odd magical effect within the waters of the lake and the surrounding lands – elemental magics cease to function. Melf’s acid arrow quiver is empty, lightning bolts do not crackle, and flame tongues cannot produce their fire. This has made it the perfect sanctuary for the denizens of Troll Lake, as only natural fire and acid can be used against them in that area. It is best to avoid the huge lake all together, as the trolls have begun to multiply. The monsters now have an army and the areas around Troll Lake have grown crowded. It is only a matter of time before they march. I’m not sure there’s anything more frustrating to me than trying to create a map. I am a horrible visual fine artist. Envisioning what I want is easy, but I just don’t have the skills to execute. I wanted to use a program that would help me create a large world map, easily and quickly. One that would make calculating travel easy and allow me to convey a lot of information in one shot. One that wouldn’t look too terrible! 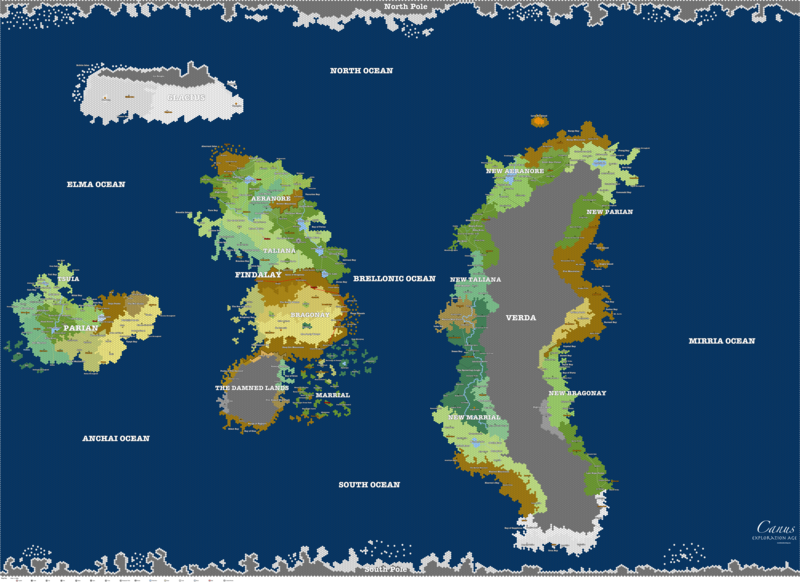 There are actually a ton of programs you can use to make a world map that fits the bill. Here’s a few resources you can use to make a great world map without being a Photoshop wizard or fine artist. Mapdiva – Has a ton of interesting tools and their example maps look great, but I think you need to be a decent artist to make it work and it seems a little pricey. Campaign Cartographer 3 – Oooooh giirrrrl. This one looked like it might be it. Easy to use, decent price, looks great… but you have to be on the PC and I’m on a mac. Crap. Fractal Mapper – Same great stuff and singular problem as above. Stone Sword – Free and web-based! On a great track! But it looks limited in its variety of visual terrain options, and I’m not sure it allows me to create a world map big enough. Now I didn’t actually use any of these as you can tell from individual reasons listed, but maybe one of them is right for you! To make the map of Canus, I used a program called Hexographer. I have to say it’s certainly not the best looking map creator out there, but it allowed me to do all of the things I needed to do and it runs on both Mac and PC. Here’s my list of reasons for going with Hexographer after doing a little research and playing around. It’s a hex mapper. – I really love hex maps because they make calculating travel very easy. How far is A to B? 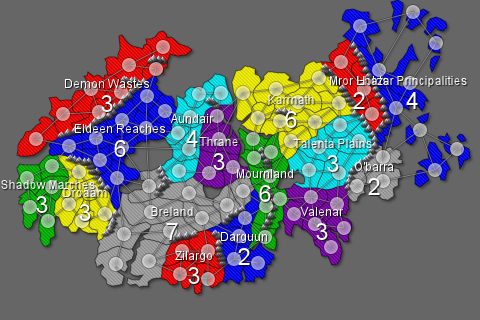 Well, just count up the number of hexes along your route, multiply them by the scale and BAM! Answered. It’s easy and fast. – Hexographer has loads of handy features, and the basic concept of placing individual terrain hexes down to create a map is pretty user-friendly. You can place them all individually, you can input settings and have it generate a random world map, or you can make a sort of outlined world and then use the terrain wizard feature to fill in the gaps. It has a lot of variety and customization. -Hexographer has a multitude of hex tile options. Pictured below is just the tip of the iceberg. The titles, lines, text graphics, shapes, and more are all customizable and make it easy for you to really shape the world (or galaxy) you want to make. Some symbols that can be added to the map. It’s free. – Yep. You can pay more to get a license and get some cool features (which I did), but everything listed above is 0 dollars. 0. So after I picked the software I wanted to use to create the map, I had to determine just how big Canus is. I know I want adventures that span the world to feel as epic and big as they might in our own world… if not bigger! The scale of my hexes to be easy to add for figuring out distances. My map is roughly 500 hexes across. The circumference of Earth is just under 25,000 miles, so I decided to make each hex 50 miles across. That makes Aeranore and Bragonay about the same size across and the United States. Hopefully that scaling will make my world feel huge and epic. I’m not too worried about travel time between places, since Exploration Age is full of many neat ways to get around, like airships, underground railways, portals, magic beasts of burden, and magically enhanced cobblestone roads. Let me know what you think of that scale. Is it too big? I really was having trouble judging it, but if you need to get around the world, that should take a while! Obviously a big part of Exploration Age is… well, exploration. So I’ve got a few big blank spots on the maps. Both of the poles, northern Glacius, most of Verda, and most of The Damned Lands. 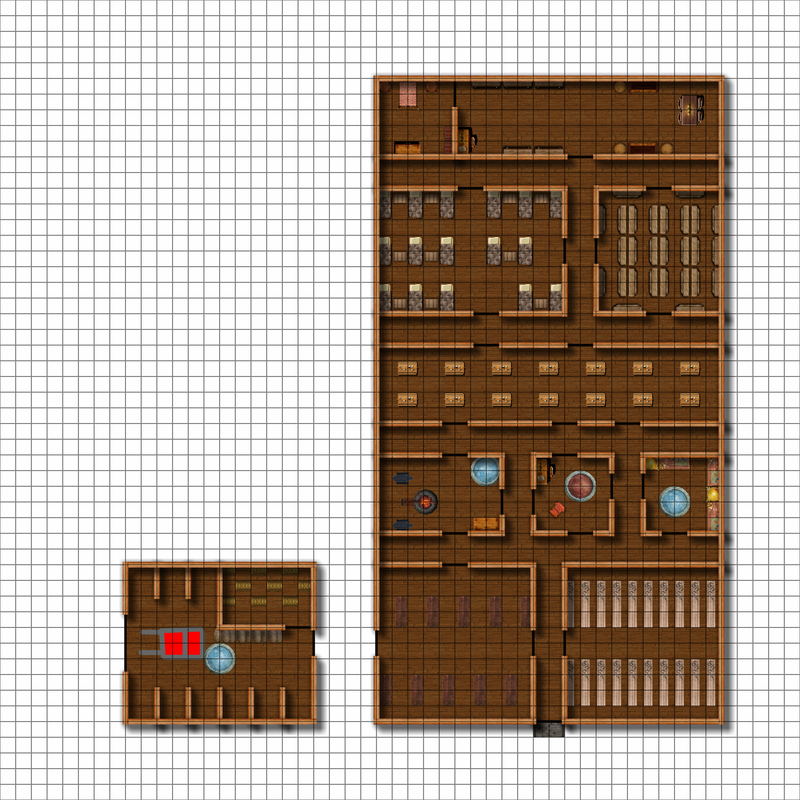 I’m actually thinking that when I put these materials out for others, I’ll include my DM map as well with the blank spots revealed for all those DMs out there. The blank spots do present a bit of a problem. In a world where airships exist, why haven’t people done fly overs to map out unknown areas? Well my friends, airships wouldn’t be much fun if they didn’t have a bit of danger! In Exploration Age, airships need to be recharged with raw arcane energy every 500 miles. This process is as quick as refueling a car, so it doesn’t really slow down travel. The refueling process requires a huge tower topped with a massive crystalline rod. The rods are then filled with arcane energy by mages once a year. All airships have an apparatus which allows them to connect to the rod and recharge. Since the towers take many years to build, there are few in Verda and almost equally few airships since they had to be built there, since they can’t be piloted across the ocean. This helps keep the game exciting. An airship adventure has danger and resource management. If you have one it doesn’t automatically let you surpass all challenges. Also airships will have to take certain routes. Picture an encounter on one of these towers, as a rod crackles with energy PCs must find their way to the ship above which is leaving in moments, or lie in wait for an enemy airship coming to refuel… or perhaps someone lies in wait for them! Take a look for yourself. Here’s Canus! Let me know how I did.